Ursula's signature updo has lots of lift in our Women's Disney The Little Mermaid Ursula Wig. This officially licensed headpiece features short white, silver, and grey hair and has a tussled style. 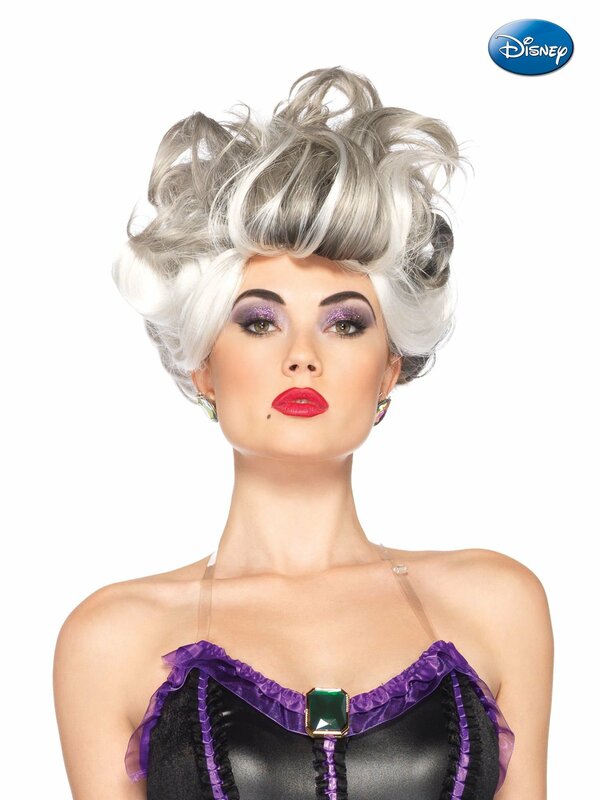 This wig is a must have for your The Little Mermaid Ursula costume, sold here separately. Whether you have long or short hair, be sure to order one of our wig caps to help hold your own hair in place underneath the wig. Care Instruction: Do Not Wash.